The behavioural sciences such as psychology and behavioural economics have a lot to offer conservation—from understanding people’s decision-making to evaluating the best way to change behaviours in a targeted population. Yet, given its breadth and depth, many of us find psychology, its jargon and research, impenetrable. 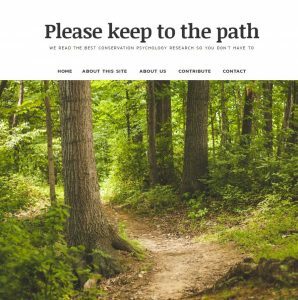 To increase understanding and use of psychology in conservation science and practice, we have recently launched a new web-based resource called Please keep to the path. The website (we’d never call it a blog) seeks to make research about human behaviour more accessible to all who are interested in applying it to promote nature conservation. You can find it at the rather intuitive address: keeptothepath.com (‘intuitive’ is an important idea when it comes to behavioural science). Unlike many blogs (but remember we’re not a blog), our site is not a vessel for self-promotion, opinions or gripes. Rather, it is a flagship for disseminating the most relevant and useful conservation psychology research. We strive to make its contents both available and accessible to all, though we have a particular interest in reaching other researchers, managers, and policymakers. While researchers continue to produce mountains of knowledge that may be useful for guiding nature conservation, this information is often difficult to access, sometimes held behind paywalls and usually reported in discipline-specific language. All this creates barriers for those who dare to venture beyond the safety of their own disciplinary field of expertise. We have established Please keep to the path as one means to better share this knowledge and make it more available for the nurturing of nature. We do this by reporting the best classic and contemporary research in short and (hopefully) engaging ‘bytes’. 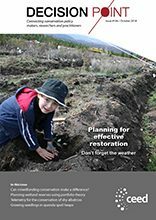 Each byte captures the essential aspects of the original peer-reviewed research, including why it is useful for understanding the human aspects of nature conservation. We read it so that you don’t have to! Focusses on applications to conservation – it turns out not all research relevant to conservation psychology originates from conservation psychology research! 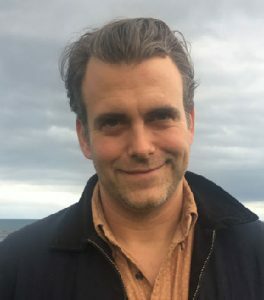 By perusing our growing database of bytes readers may more readily and easily become familiar with important research in the field than if they were to rely on accessing published journal abstracts, and certainly more quickly than by actually reading a multitude of individual articles in full. While no synopsis is ever a substitute for reading the real thing, our bytes will help you focus energy on those articles most useful for providing the information you seek. Why ‘please keep to the path’? Our titular plea, Please keep to the path, echoes the often futile messages found on signs posted around the world that implore pedestrians to Please keep off the grass, hikers to Please keep to the trail or public transport passengers to Please keep feet off seats (to list only several of the forms in which this ubiquitous appeal can be found). Yet Please keep to the path also embodies a greater appeal to us all, that we navigate our lives in a way that treads more lightly upon nature. Because human behaviour is the cause of so many environmental problems, including the biodiversity crisis, shifting how people behave is key to achieving a future in which people better value and better protect nature. And sometimes, an appropriately worded sign in a strategically chosen place can nudge us in the right direction. Owing to our limited resources (ie, the spare time of two active researchers), we make no pretence that this database will be exhaustive. Currently, the articles we report are simply the most interesting and useful pieces of research, both past and emerging, that we happen to encounter. However, we do make sure that each byte is in itself reliable and accurate. Please check us out for yourselves and be the first to tell your conservation colleagues. 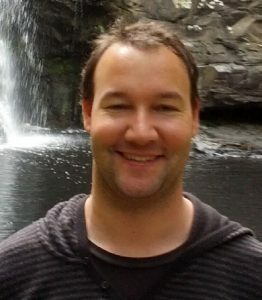 About the Keep-to-the-Path editors: Alex (above and right) recently completed a PhD with the RMIT Interdisciplinary Conservation (ICON) Science Lab, in which he investigated the use of framing techniques for enhancing conservation messages. He is currently continuing this research with the Threatened Species Recovery Hub. He is investigating the use of social and behavioural economic opportunities for threatened species recovery. Matthew (above and left) is a PhD candidate with the ICON Science Lab at RMIT. His research can be broadly categorised as conservation psychology. He is currently evaluating the social dimensions of private land conservation, biodiversity footprint analysis, conservation behavior change and predictive modelling of human behaviour. Base-rate neglect, inverse-probability fallacy and poor environmental decisions. Our big brains struggle to coherently combine probabilities. It’s something that’s been noted time and again in studies on how doctors interpret a medical diagnosis but it’s a basic problem whenever we are presented information with several points of uncertainty. And this is a big problem commonly encountered in environmental management whenever we have imperfect detection. The reason that environmental campaigns often don’t work is that it turns out that the effectiveness of campaigns depends on audiences’ existing attitudes and identities. We recently explored the influence of bias in natural resource management (NRM) and found that we may be able to improve our performance if we recognise these influences and work to reduce them. A roundabout way to protect biodiversity?